Factory Reset is an important utility of your Android or iOS. It allows you to restore your electronic device to its original manufacture settings after removing all the stored information on your device. The process of factory reset is different in each device. In this guide we have to discuss how to factory reset of your Android or iPhone. Factory reset is also known as master reset which allows you to remove all the users data from your device. After that restore the device back to its original manufacturer settings. If you want to sale your Android phone or iOS to other then first you must have wipe complete data from your phone. This could be done with the help of factory reset feature on your Android or iOS. But you must aware to do this job, sometime few data is recoverable after wipe complete data from your Android or iPhone. After the Factory reset you will lost your Google account settings, system and app data settings, music, photos, movies, documents and other data. If you have an Android or iPhone then you can easily start factory reset process to wipe all stored information on your phone. But before starting this job you must have to take complete backup of your phone on another place. You can easily take complete backup of your Android phone or iOS either on cloud storage area or other device. 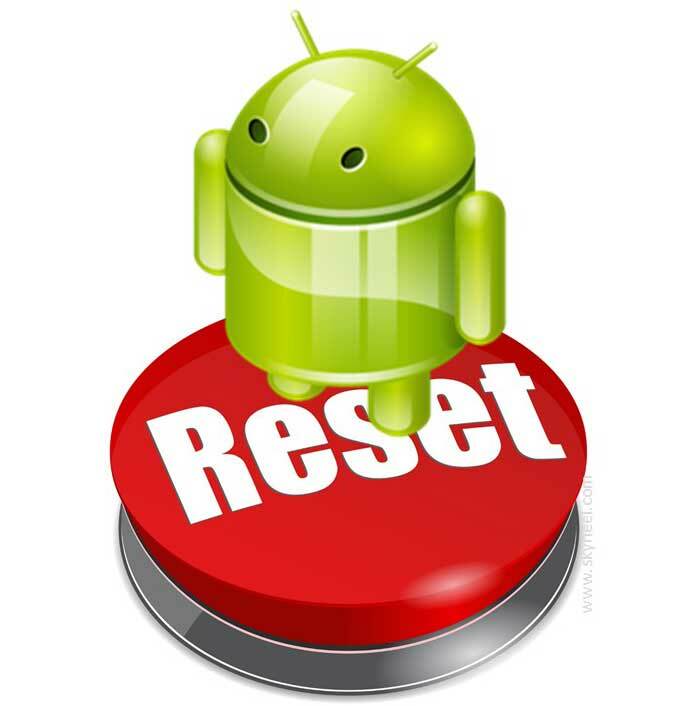 After that you have to start factory reset process on your Android or iPhone. If you have any Android phone and face lot of issues like slow performance, battery problem or want to sale to other person of your phone. In that situation you have to take few given steps to factory reset of your Android phone. Step 1: Tap on the Settings > Backup & reset option which is located in personal category in the settings window. Step 2: Tap on the Factory data reset option. Step 3: Tap on the Reset Phone button to start factory reset process. This will take some time to wipe your stored data and other information from your Android phone. After finish the process your device looks like a brand new mobile phone. If you have want to completely wipe stored information from your iPhone then you must have to take given simple steps to do this job. Step 1: Tap on the System settings from your iPhone. Step 2: In this Settings window first you must have to take complete backup with the help of iCloud option. Turn on Backup option and all required things which you want to take backup. After that you have to tap on the “Back Up Now” option. Step 3: After taking complete backup of your iPhone, tap on the General settings > Lookup and tap on the Reset option which gives you different options. If you want to wipe everything from your iPhone then tap on the Erase all content & settings option. Step 4: Enter the passcode and tap on the Erase iPhone option. It will again ask for confirmation, if you relay want to completely wipe you iPhone then again tap on the Erase iPhone option. Now, Factory resetting process is started on your iPhone. It will take few minutes to wipe all stored information from your iPhone. Please write us your valuable experience about Factory reset of your Android or iPhone. You can share your comments regarding this guide in the comment box. Thanks to all.